Accredited Members are language centres of all types teaching courses in any language. Eaquals accredits university language centres as well as private training institutions and we operate in any country. At the latest count, our members were teaching more than 25 languages in over 30 countries worldwide. Eaquals Accredited Members have achieved high international standards and are committed to continuous improvement. Accreditation is only awarded after a comprehensive and rigorous quality assurance process, including an on-site inspection, repeated every four years. Only institutions that fully comply with the demanding Eaquals Quality Standards can be accredited and display our logo. 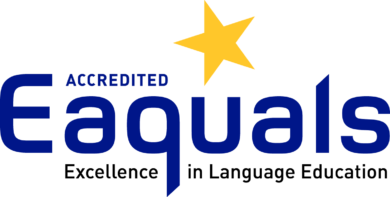 Eaquals accreditation is the gold standard for language centres and a highly respected badge of excellence.